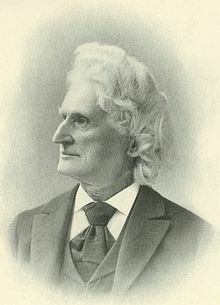 James Dwight Dana (February 12, 1813 – April 14, 1895) was an American geologist, mineralogist and zoologist. He made important studies of mountain-building, volcanic activity, and the origin and structure of continents and oceans. Reported in Josiah Hotchkiss Gilbert, Dictionary of Burning Words of Brilliant Writers (1895), p. 35. This page was last edited on 2 April 2019, at 22:25.